From USA to Europe, this internationally acclaimed group is to be found based on the Isle of Wight. 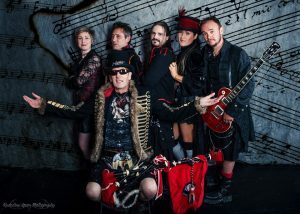 The band prides itself on providing a unique show to suit all events. A musical and visual display that takes you on a journey from traditional Celtic music all the way through to the most contemporary dance and rock music of the day. An eclectic mix of musical genres that provides the most exciting and mesmerizing show and with amazing entertainment value and energy. 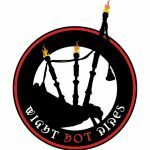 Wight Hot Pipes is led by the Isle of Wight bagpiper Kieron Cooney and supported by the stunning vocalist Tori Blain. The band is complete with keyboards, drums and guitars creating a 6 piece band of unique spectrum and qualities. The diversity of music is reflected in the stylish array of dress which falls between the Celts and gothic dress. This is a band that hides its secret appeal, and then explode with a unique and style of music that will have a lasting impression on the eyes and ears and provide an unforgettable night of entertainment for any occasion. 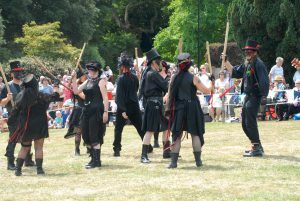 Based on the Isle of Wight, Bloodstone Border Morris dance team was set up in the summer of 2009. We have taken our name from Bloodstone Copse, reputedly the scene of a battle between the Saxons and Danes, where so much blood was spilt, the nearby brook, the Monkton Mead, ran red. The Bloodstone is where the Monkton Mead brook rises on Ashey Down. The Bloodstone Style – We dress in black, with a splash of Blood Red, to signify the history of our name. Our faces are disguised in the tradition of Border style. Our dance style is Border, originating in the Welsh/English border, with dances such as Brimfield, Dilwyn, White Ladies Aston and others named after local border towns and villages, but we also write our own dances such as Gallows Hill, Monkton Mead, Seasick and Scarlett’s Black Feather, all with a story relating to Isle of Wight places or legends. We perform at local events such as the Yarmouth Old Gaffers, Havenstreet Steam Show and the Island Highland Gathering. We’ve even performed at major festivals such as Bestival and the Isle of Wight Festival and regularly perform at several mainland festivals, including Hastings Green Man, Trowbridge, Wickham and Dulverton Folk Festivals. Each year we run our very own dance weekend – The Bloodstone Border Rally, at which we entertain other teams and raise money for a local charity. What started as a bit of fun after school for some musically minded teachers has developed into a lot of fun over a number of years now. Slainte Va (cheers in Gaelic), have been playing Ceilidh’s and concerts in all sorts of venues, mainly on the Isle of Wight. We sing traditional Irish and Scottish songs, play dances, reels, jigs and an unusual blend of modern songs that take our fancy, including Lindisfarne, Bob Dylan, Nanci Griffiths and the Pogues!